Most enterprises have multiple branch offices and a growing remote workforce. With video and Web applications, VOIP, and the cloud, new WAN optimization technologies are required. Learn how Blue Coat gives branch workers and remote users the same performance experienced at headquarters. 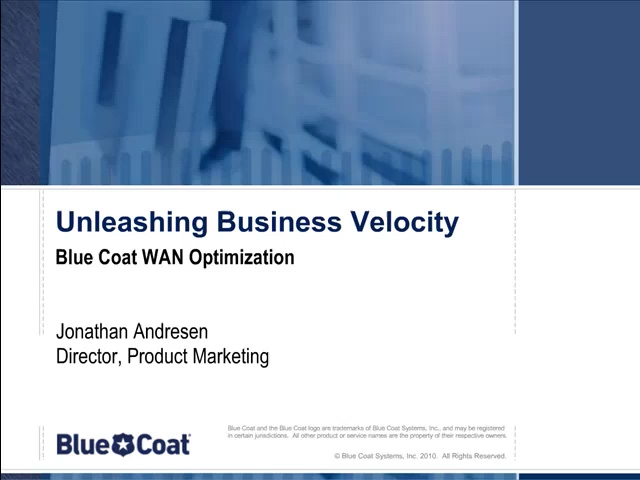 Blue Coat shares how to avoid the common pitfalls associated with more data, more distance and more WAN congestion. It’s time to consider new ways to accelerate your business and maximize bandwidth savings.